This week we learned the letter Jj. In Second Step we talked about uncomfortable feelings and how we should react when we feel that way. 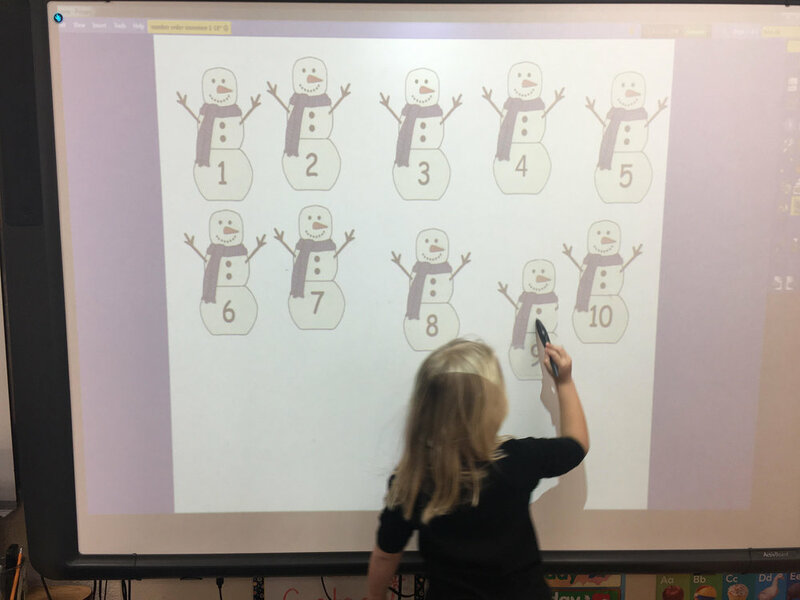 We did watercolor painting, practiced sequencing events from the story, Sneezy the Snowman, and a small group worked on beginning sounds. 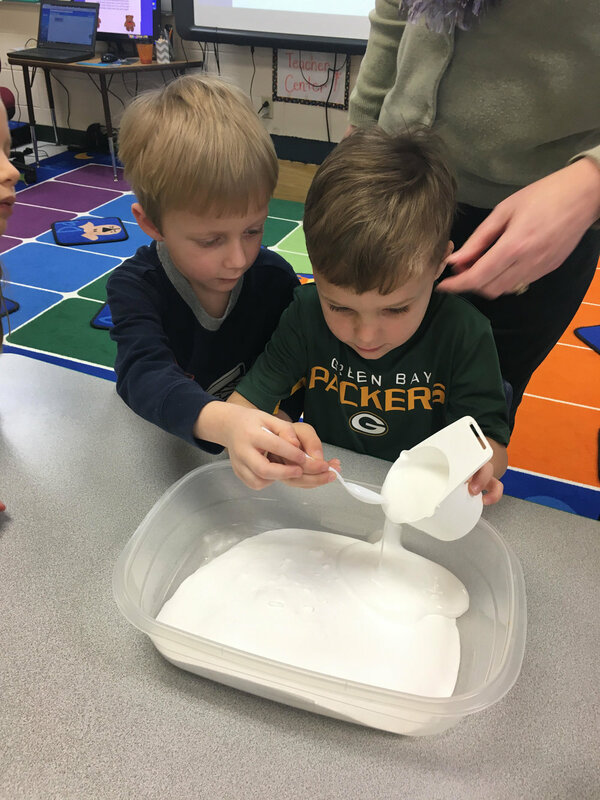 Today we made fake snow using baking soda and conditioner, and made puffy paint to paint a snowman, using shaving cream and glue. The students did a great job with the guidance counselor learning about protective behaviors. They were taught about who should be touching their private parts and for what reasons (to keep us healthy and clean). Next week we will be learning the letter Dd. We will also be doing a lot with the book called, The Mitten, by Jan Brett. We will also be working on teen numbers. They will have guidance again next Thursday.